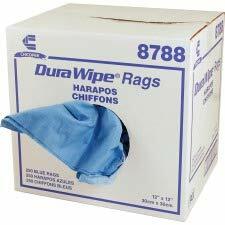 Durawipe Smooth Cloth Towel Blue 12x13.5-400 sheets per case. 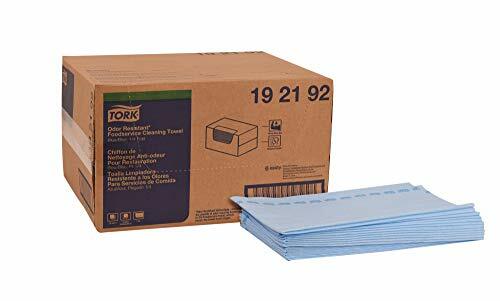 Tork Low-Lint Cleaning Cloth is a soft yet durable wiper and is perfect for surface preparation and cleaning prior to painting. 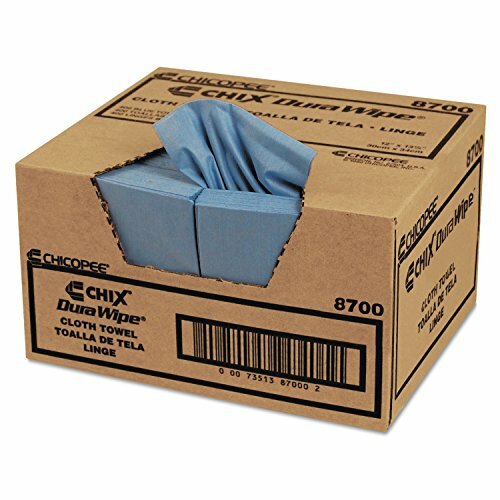 This folded wiper comes in our portable self-dispensing pop-up box, which protects the wipers and allows you to easily transport the wipers to the work site. Perfect for working with sensitive applications like surface preparation before painting due to low-lint properties. Tough cloth designed for use with industrial solvents and cleaners - will stand up to harsh chemical use. Soft drapable feel to get into tight spaces. Health Canada Certified. 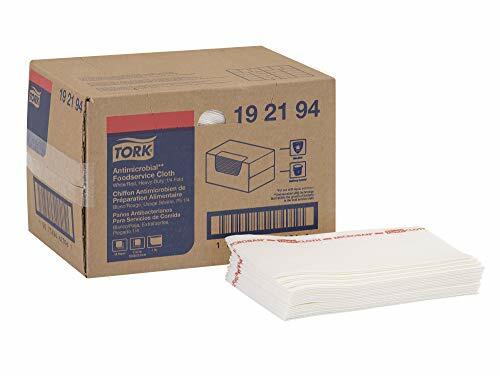 Tork Antimicrobial Foodservice Cloths are ideal for use with chemical sanitizers. This sturdy 1/4 fold cloth is treated with an antimicrobial that inhibits the growth of bacteria in the cloth, which helps the cloth to stay fresh longer. The wiper is available in white with a red logo stripe (Tork 192191), blue with a blue logo stripe (Tork 192192), or red with a red logo stripe (Tork 192193). Designating area of use by color will help reduce the risk of cross-contamination. Easy to rinse texture that dries quickly and is low linting. 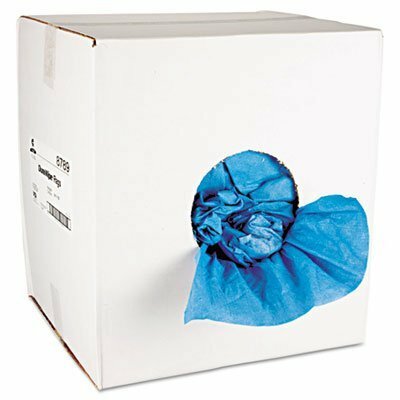 Cloth comes in a sturdy, easy to store self-dispensing corrugated box. This product contains 100% synthetic and virgin fibers. Durawipe Smooth Cloth Towel White 12x13.5-400 per case. 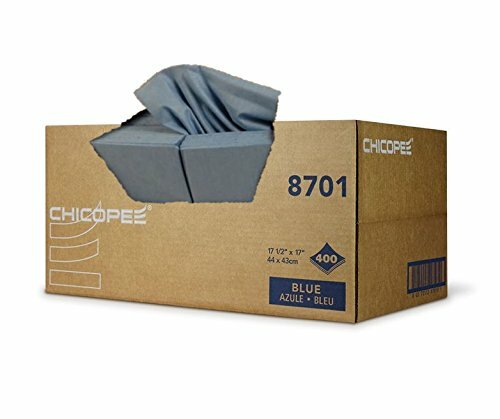 Durawipe Smooth Cloth Towel Blue 17.5x17-400 sheets per case. Tough, all-purpose wipers are designed for tough cleaning tasks. 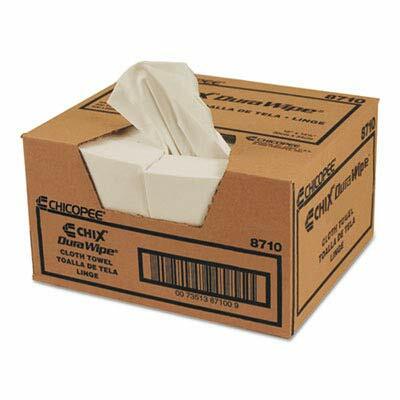 Maximum strength and absorbency may be put to work either wet or dry. Soft, no-scratch fibers enable use on sensitive surfaces. 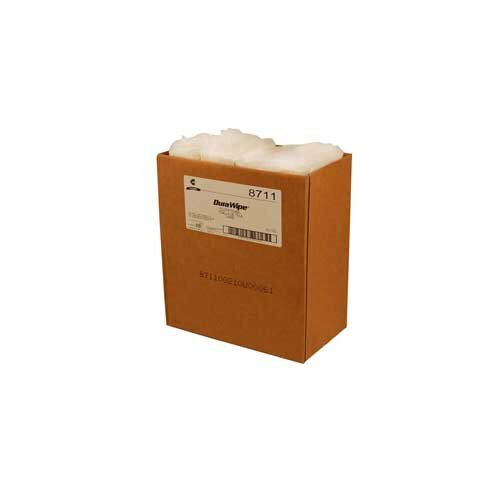 Compatible with oils and solvents. 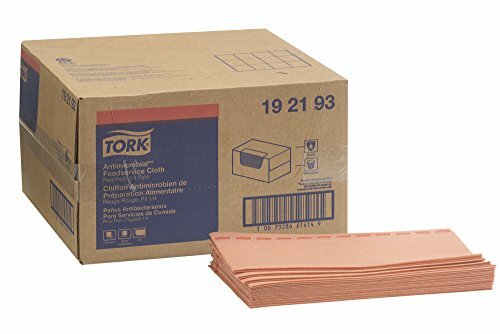 Tork Antimicrobial Heavy-Duty Foodservice Cloths are ideal for cleaning, degreasing and sanitizing in foodservice environments. This product comes in an easy to store self-dispensing box. Cloth is treated to help inhibit the growth of odor-causing microorganisms - allowing the cloth to stay fresher longer. Designed for use with sanitizing agents. Available in different colors, as designating area of use by color will help reduce the risk of cross-contamination. Easy to rinse texture that dry quickly and is low linting. 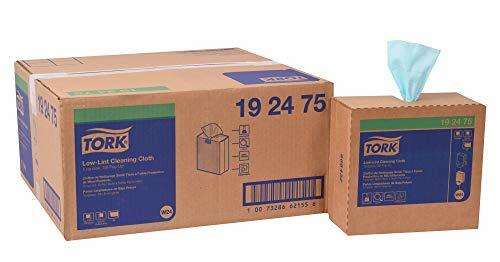 Cloth comes in a sturdy, easy to store self-dispensing corrugated box.